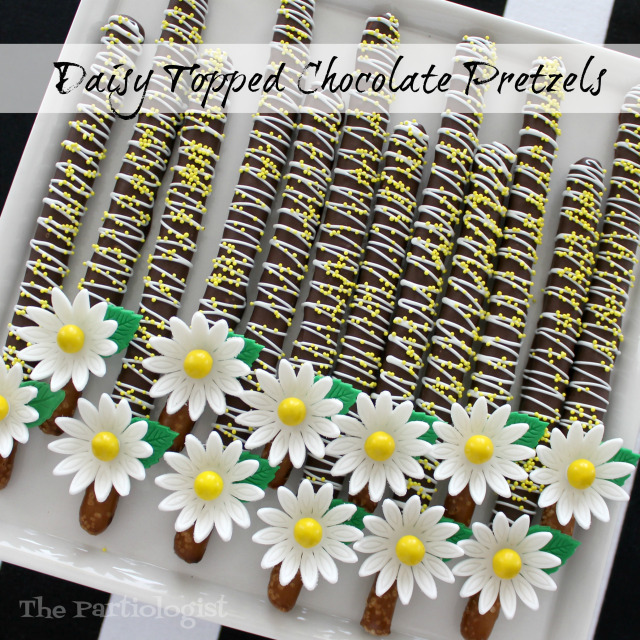 The Partiologist: Chocolate Covered Daisy Pretzels! It's been awhile since I've visited Beth at Hungry Happenings and it looks like today is the day. So come along with me and I'll show you how to make these Daisy topped pretzels. Not only will you find out how to make the daisy topped pretzels, be sure to check out all the fabulous treats, appetizers and sweets you'll find on her blog. It is truly amazing! Now, back to the pretzels. Hop on over to Hungry Happenings, you'll be glad you did!